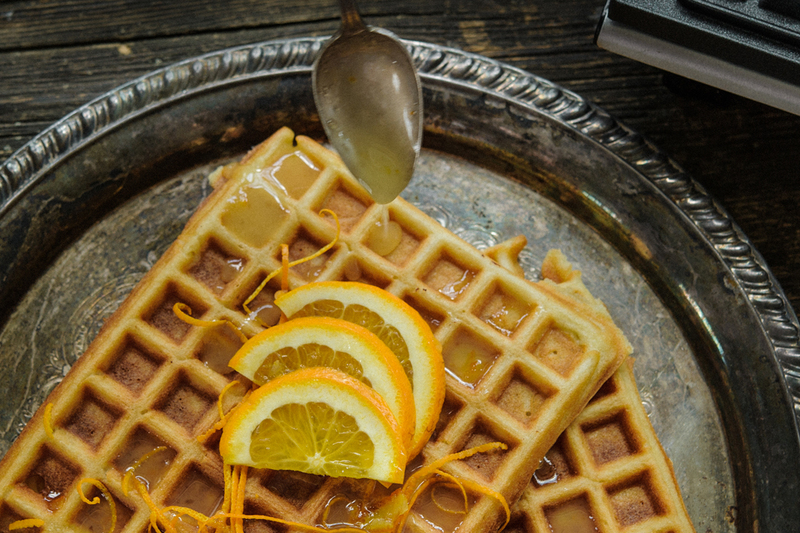 If you're looking for something to add flair to your health conscious breakfast favorite, try these gluten free almond waffles. Add taste and sweetness to your breakfast without adding to much to your waist! Mix dry ingredients into medium bowl. Add egg and milk, stir to combine. 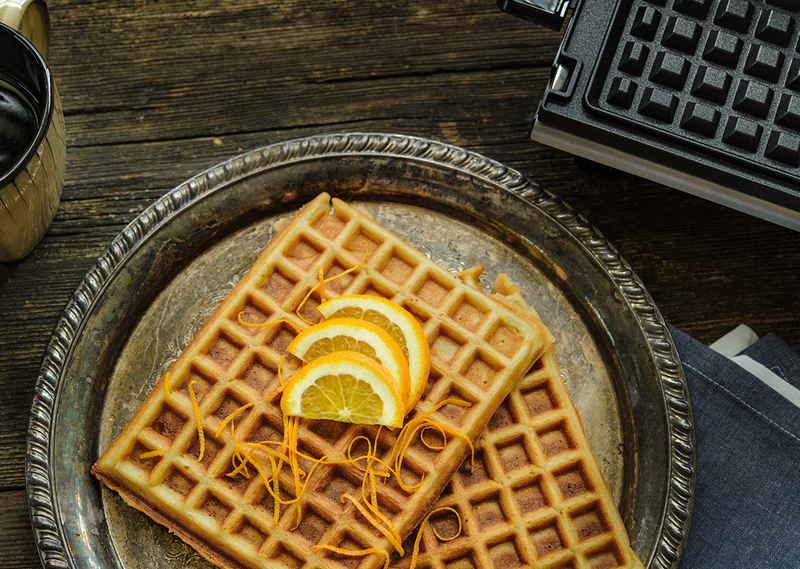 Attach upper and lower waffle plates onto Grill & Broil. Lightly oil waffle plates and preheat to 400°F. Spoon batter onto bottom waffle plate and spread batter with a spoon to evenly distribute over the plates. Close lid and cook 6 to 8 minutes or until waffle is done. Whisk together ½ cup powdered sugar and 1-2 Tbsp. orange juice for glaze topping.